SYNOPSIS: In 2029, the elite police squad Illang combats a terrorist group opposing reunification of the two Koreas. But another enemy might be lurking nearby. 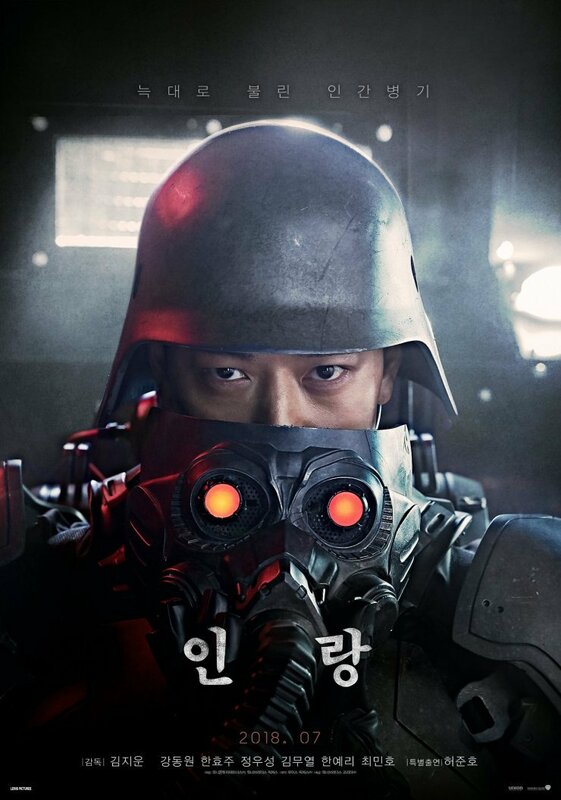 For a 139 minutes movie, Illang: The Wolf Brigade contains an impressive and intriguing 20 minutes prologue which tells audiences the potential reunification of the two Koreans to compete against superpowers such as the Americans, Russians and the Japanese. Throw in terrorists who are dead set against the reunification and internal rifts between a powerful Special Unit dubbed the wolf brigade and the Public Security Unit and you have one hell of a flick to look forward to. Unfortunately, that will be another 45 minutes before anything exciting or meaningful happens. Based on a 1999 Japanese anime by renowned filmmaker and novelist Mamoru Oshii (Ghost in a Shell) and altering the premise from Japan to Korea, Illang: The Wolf Brigade is filled with so much double-crossing, characters and political motives that it must take several viewings to fully understand the convoluting storyline. Golden Slumber’s Gang Dong-won plays Lim, an elite member of the wolf brigade who is still shaken by the killing of 15 innocent school girls five years ago is once again haunted by the death of a young suicide bomber. Persuaded by an-ex teammate, Han (Kim Moo-yul) who is now working in the Public Security Unit to pass the wallet of the deceased suicide bomber to her elder sister, Yun-hee (Han Hyo-joo). Lim is subsequently lured into a conspiracy that threatened the disbandment of the wolf brigade. So is Yun-hee a spy, a terrorist or an informer? And why is Han bent on getting rid of the wolf brigade? Apparently, there’s no straight answers to be expected from this action flick helmed by Kim Jee-woon who impresses audiences with his The Age of Shadows, The Good, The Bad, The Weird and A Bittersweet Life. Very much of what is promised in the prologue is forgotten by the end of the first hour as Kim delivers one solid action set piece after another. The highlight of the entire movie is a shootout which took place at Namsan Tower, probably a replica of it since an entire floor is destroyed by fights and heavy arms as Lim and Yun-hee attempts to escape from Han’s team while more violent and bloody killings await in a dark sewer for the finale. Obviously by then, you know where Kim’s strengths lie. It’s hard to recommend a flick liked Illang: The Wolf Brigade since the end product is pretty divided. Action fans will generally be pleased with all the solid action sequences which are elaborately choreographed and shot in well-built soundstages. But for those looking for an interesting sci-fi concept or hated the unexplained appearances of a weird man wearing an impenetrable armour with glowing red eyes should look elsewhere immediately. And yes, we still have no idea of what the metaphor of The Little Red Riding Hood actually means.